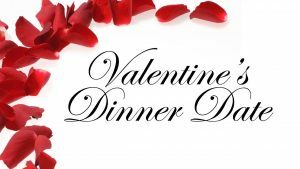 Is this the perfect Valentine’s Evening in Torrevieja? Valentine’s Day is upon us. How are you going to show your Valentine how much you care? How about a romantic stroll on a moonlit beach? In February. In Torrevieja. Best put your gloves, thermals, and scarf on. And don’t forget that extra-thick turtleneck jumper. Mmm… doesn’t sound like the romantic evening you’d planned. Here’s a better idea. A romantic meal for two in one of Torrevieja’s best restaurants. Celebrate with a bottle of fine wine, or treat yourselves to a bottle of bubbly. We’re adding a couple of very special dishes to our à la carte menu for the evening. You won’t be disappointed. But before I tell you about them, do you know how Valentine’s Day got its name? Emperor Claudius II decreed that men should remain single when young, as bachelors made better soldiers. However, a priest named Valentine thought this was complete bunkum. In defiance of the ridiculous law, he carried on marrying young people. That is, he performed the ceremonies. He didn’t actually marry them himself. You know what I mean. Anyway, he found himself in hotter water than a Lobster Thermidor. Needless to say, the emperor wasn’t best pleased. Emperors are like that. No sense of fun. He had Valentine captured, imprisoned, and tortured. While the priest was in prison, one of the judges allowed his blind daughter to visit Valentine. One thing led to another, and the pair fell in love. Ahhh! Then the priest was executed. The execution took place after a day or two of beating and stoning. Decapitation finished off the poor priest. Anyhow, on the evening before his execution, Valentine prayed for the judge’s daughter to have her eyesight restored. The miracle happened, and the judge was converted to Christianity. But he couldn’t save the priest. Still, at least the girl was able to read the note the priest wrote to her before he met his untimely and rather brutal end. A note which he signed, “From your Valentine”. And that’s the story of why we send Valentine’s cards to the one we love. Gruesome, really! We’re in a romantic mood at Christopher’s Restaurant this year. Sergiy and I have put our heads together and come up with a few specials to help the mood of love blossom. Roses for the ladies. Canapés and champagne on arrival. In the kitchen, we’ll be preparing a very special starter, Lobster Gratin. A half lobster in creamy cheese sauce, topped with cheddar cheese and baked until golden. 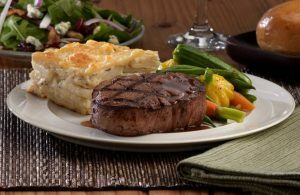 For your main course, you may decide to take one of two specials we have lined up. The first is Rack of Lamb, cooked to your liking and served with a redcurrant and rosemary jus. Or you may opt for our Topside of Venison, the dish of kings. Of course, if you don’t wish to take our specials, you will have the choice of dishes from our à la carte menu. Don’t disappoint your loved one this Valentine’s Day. I did that once, and she made me feel like a priest. Avoid the same mistake. 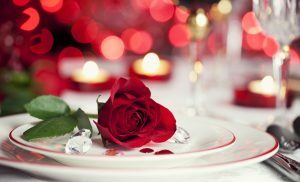 Call us on (+34) 600 01 28 24 to book your table for Valentine’s Day, 14th February 2018.